Santa Shana is so cute! Children woulb be so happy of receiving their gifts from her! Oooh! I think it's pretty rare to see the red headed Shana to smile so cute like this! Nice scan! Wish i got something from her this christmas! MErry X Mas Hohoho. . 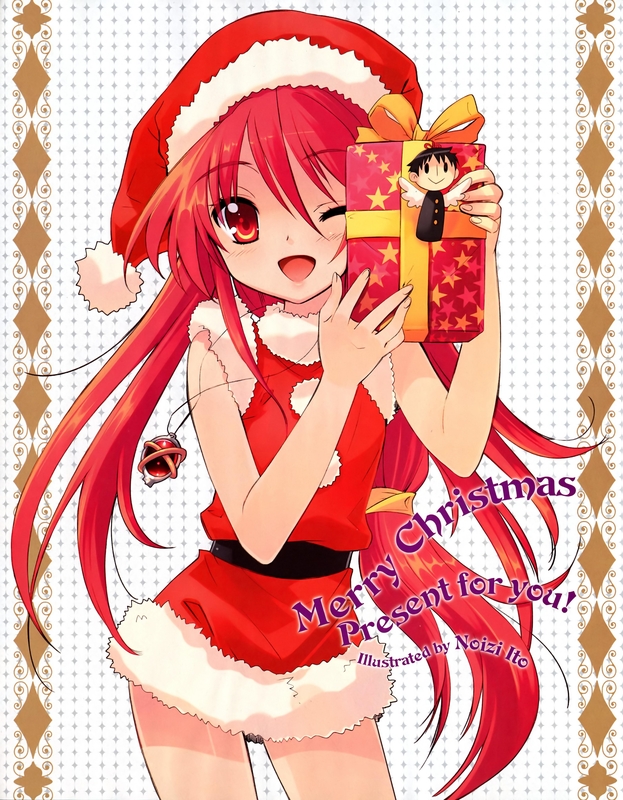 It would be nice a shana-xmas OVA, without fights.